Metal–organic frameworks (MOFs) are an eminent addition to materials science research because of their versatile properties due to which their applications are wide spread in proteomics. They are used in various fields due to their characteristics like higher surface area, specific symmetry, ease of modification, and availability of a variety of ligands. As affinity sorbents, they have shown higher selectivity, sensitivity, and reproducibility than conventionally used materials. They are applied for the enrichment of phosphopeptides, glycopeptides, low mass peptides, and as laser desorption/ionization (LDI) matrices for small-molecule analysis. This review captures the insight of applying MOFs in the field of mass spectrometry-based proteomics. 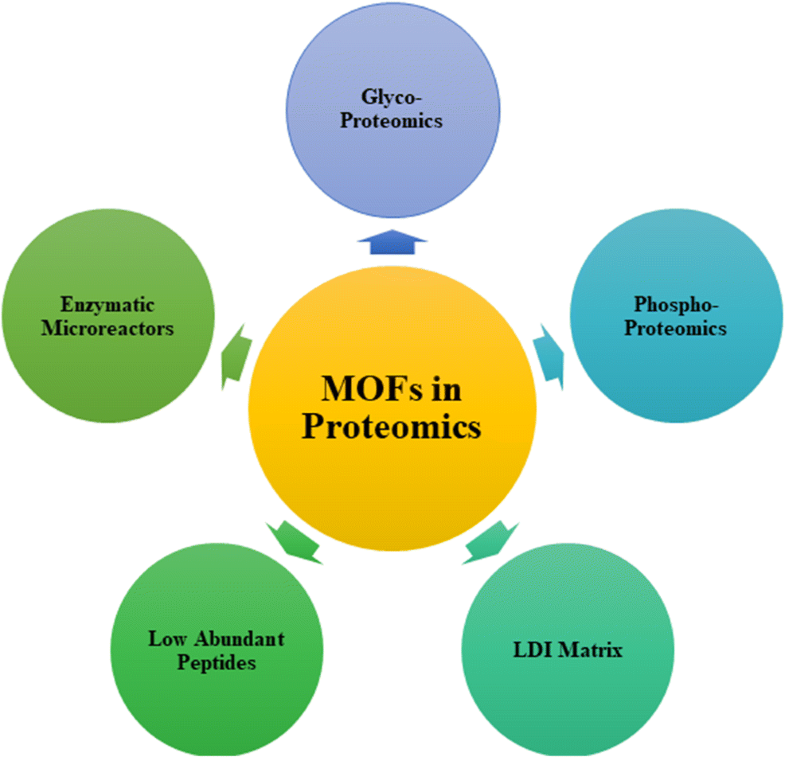 The specific features are discussed regarding MOFs as affinity sorbents for the selective capture of biological molecules like phosphopeptides and glycopeptides from complex samples. The potential of MOFs as LDI mass spectrometry (LDI-MS) matrices for small-molecule analysis is also evaluated. MOFs have also been used as enzymatic reactors for the digestion of proteins, prior to MS analysis. 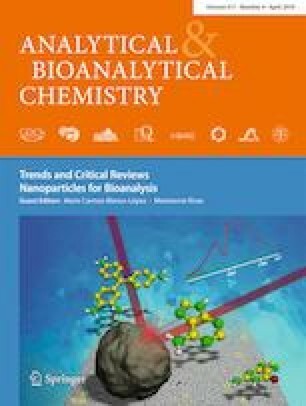 MOF-based affinity materials and bioreactors reduce proteome complexity and improve detection sensitivity and coverage. Size-exclusion effects of MOFs help in subtracting the abundant proteins in peptidomics. Several limitations of MOFs are addressed, which include stability under varying pH conditions, the unclear interaction mechanism between the MOFs and targeted analytes, and the non-specific binding that interferes during the analysis because of metal centers and ligands in the MOFs. This will open up MOF-based research to overcome the limitations and improve the performance of MOFs as selective and sensitive materials. This work is supported by the Higher Education Commission (HEC) of Pakistan.